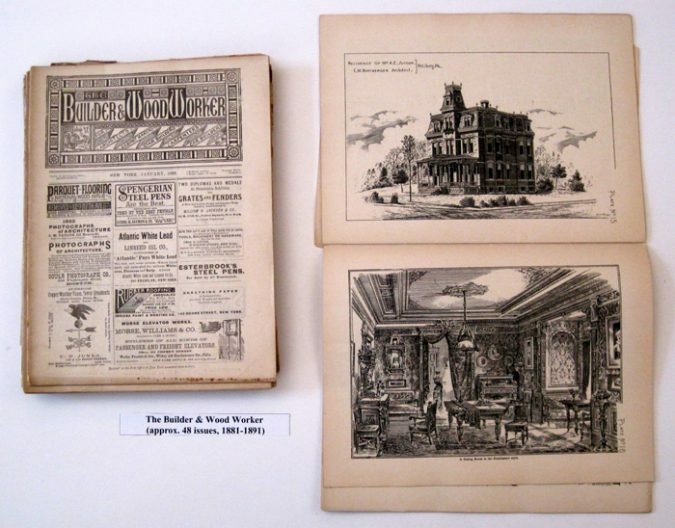 The Cooper Hewitt Library collects a variety of trade periodicals, especially those dealing with architecture and the building trades. 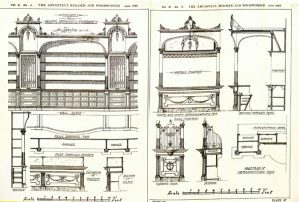 The Architect, builder and woodworker is a journal of industrial art that offers practical and technical information for anyone with the skill and interest in designing a home or other building. We own nearly 100 issues ranging from 1875-1895. Architecture as a profession at this time was just emerging; master builders, draftsmen, and craftsmen created structures and the features and furnishings in them. Builder and Woodworker. Fixtures and designs for a modern pharmacy. Vol. 31, no. 6. June, 1895. Plates 46, 47. The periodical discussed recent improvements in the mechanic arts; topics included lumber, steel, aluminum, concrete, various kinds of stone and their durability in different climates. It also promoted structural features you would want and need in modern construction. Window screens, radiators, engines, roofing tiles, elevators, water heaters, and types of paint were presented. Illustrated in fine detail, each issue featured numerous products and services advertisements, articles on architectural interiors, ornament, and house plans with architectural elevations; floor plans of architects from various cities throughout the U.S. The publication was not limited to just the building of homes- it gives design plans and ideas for offices, retail spaces, and other public and private buildings. Each issue has regular features that inform readers about architectural design and history. 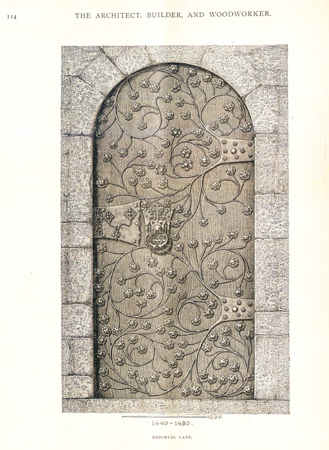 Shown are historic and contemporary designs for doors and new trends in furniture. Builder and Woodworker. 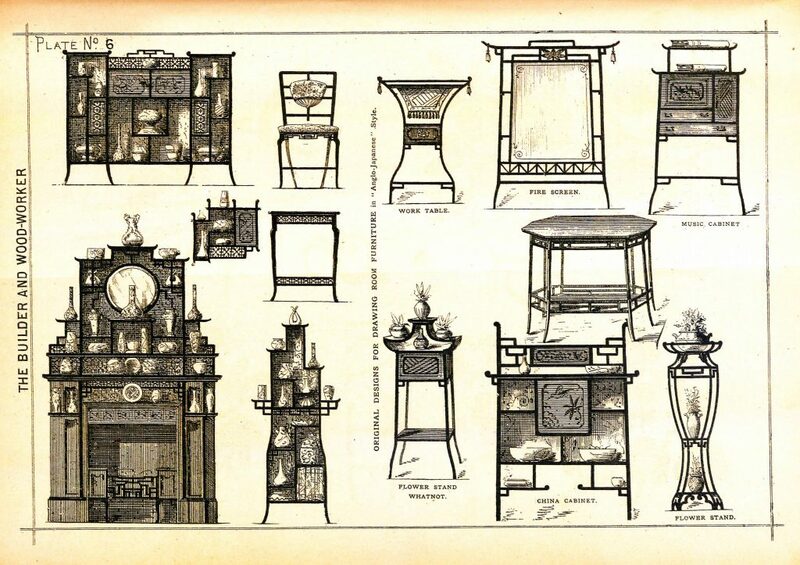 Drawing room furniture in “Anglo-Japanese style”. Vol. 18, no. 1. Jan, 1882. Plate 6. This was a resource guide, it had an index of manufacturers and suppliers of new tools, building materials and furnishings, and where to buy them. You could advertise for positions wanted or positions available. 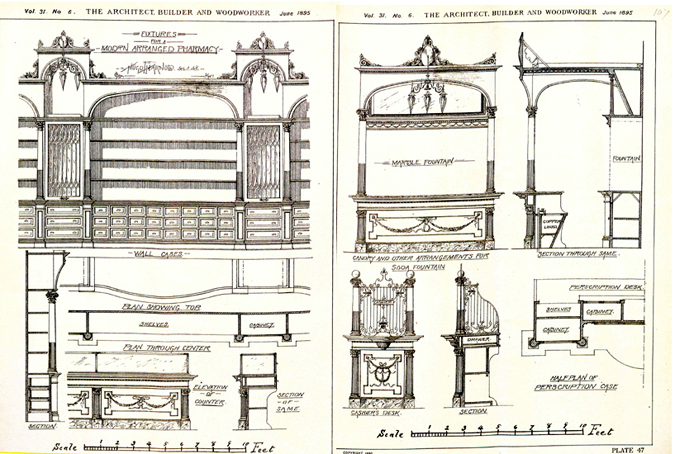 The magazine kept architects, builders and woodworkers connected and informed nationwide.